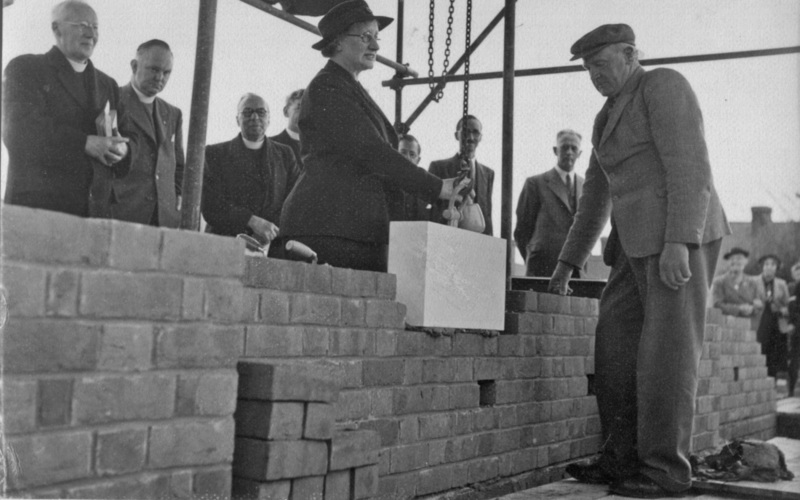 In 1936 the Baptist movement was encouraging newly developing areas to build their own church. 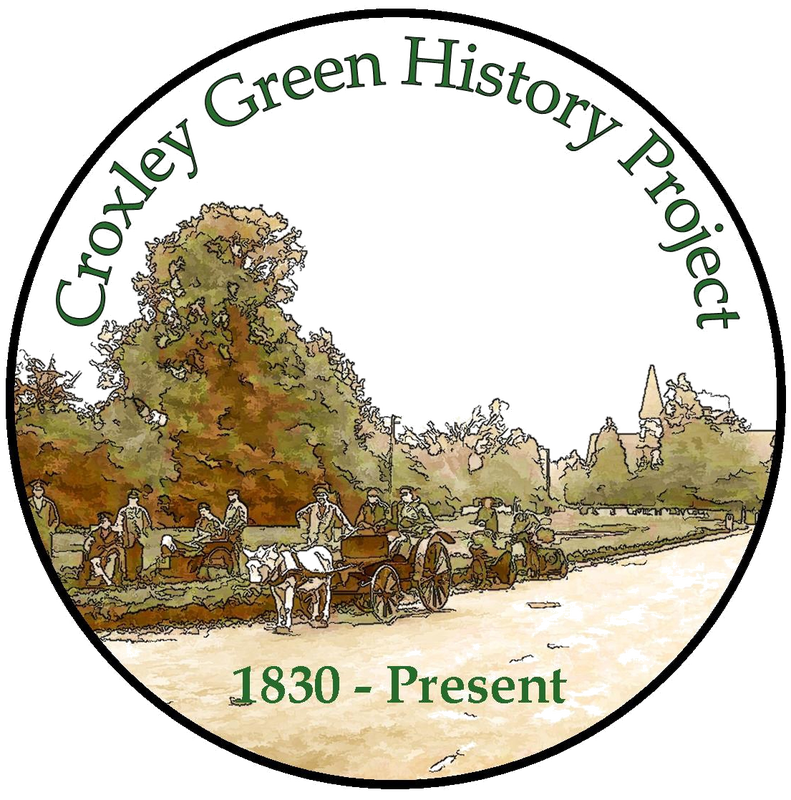 Croxley Green had been rapidly expanding since the early 1930’s and as a newly emerging community this was seen as a realistic plan. Land was identified on the Parrott’s Estate between Baldwins Lane and Sherborne Way, owned by the Woolrych family at this time. 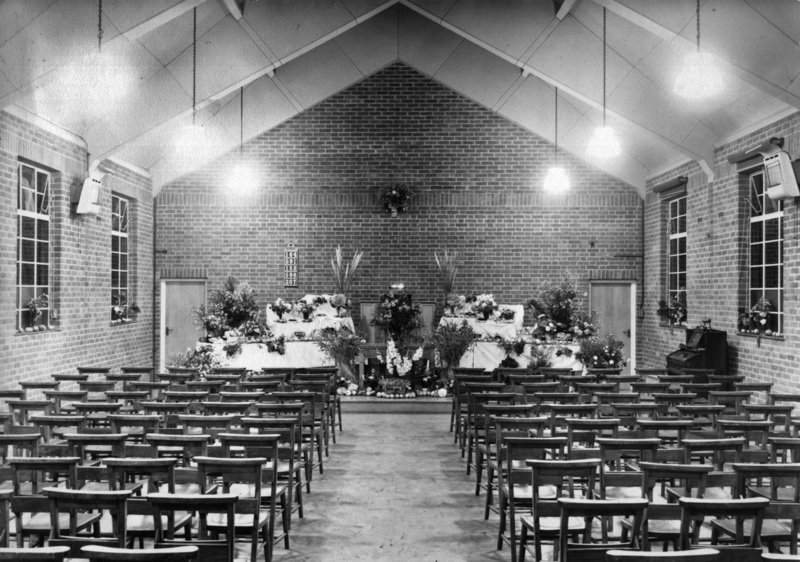 A suitable size plot was purchased by the Hertfordshire Baptist Association the same year. 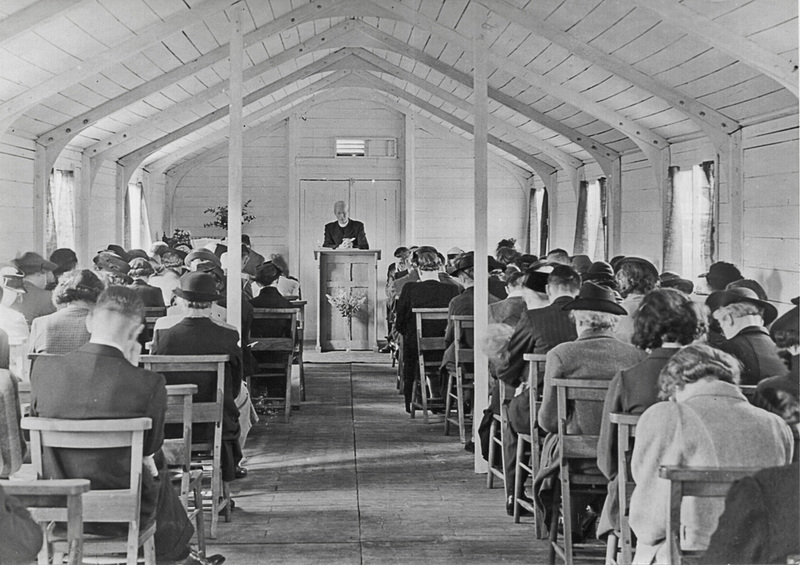 Rickmansworth and Watford were the nearest alternative churches for worshippers to attend. 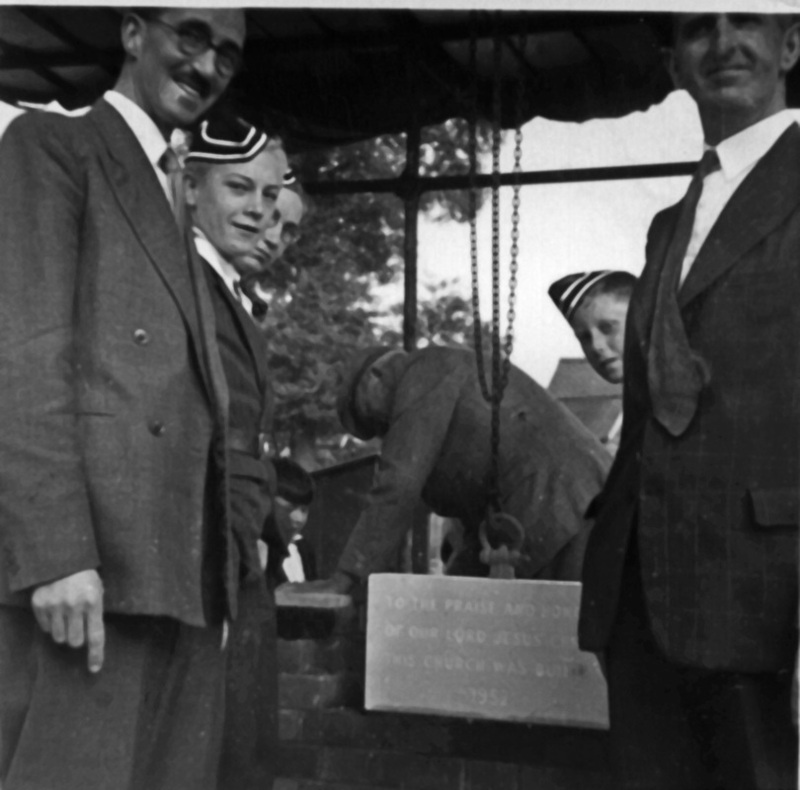 The actual building works disappointingly had to be delayed for many years as impending wartime restrictions were imposed on many construction works. 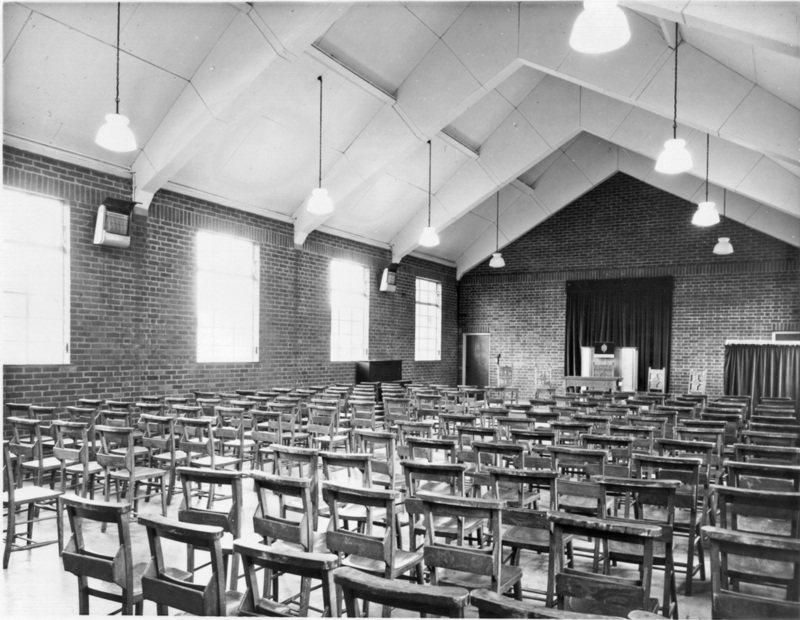 Fortunately, just a short distance away the newly opened Durrants Secondary School (1939) was made available as a temporary venue. 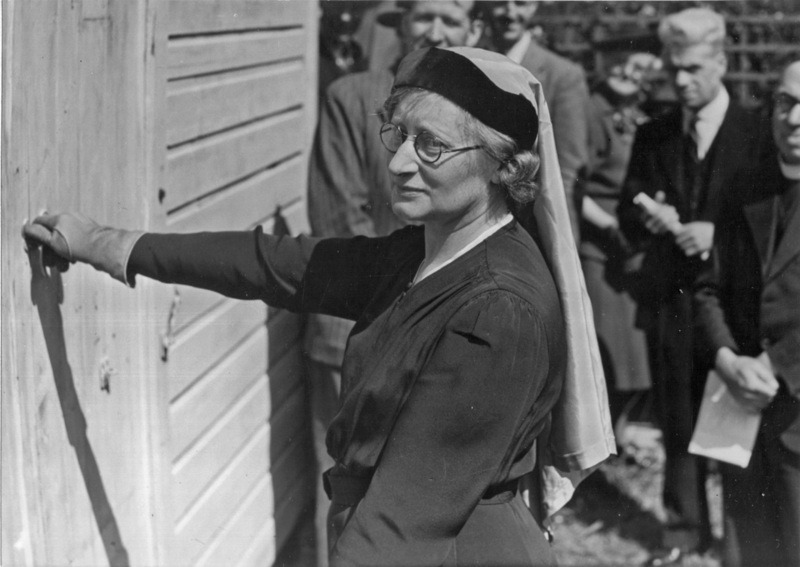 A Sunday School was set up for the young people in the community by Baptist Deaconess, Sister Enid Cavell. 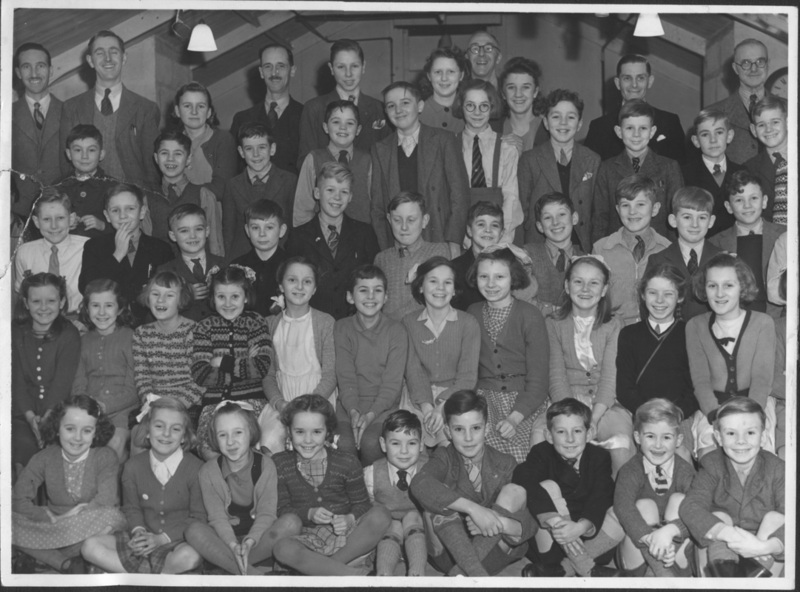 Donations were received for Bibles and hymn books and with extra adult supervision the local children were invited to attend the school in June 1940. 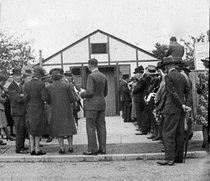 Gradually, the number of members increased and a committee was formed to meet in local homes. Social gatherings were arranged and organised for ladies who would meet under the same arrangements. The Girls’ Life Brigade Company was formed, also at Durrants School, meeting for the first time on 19th September 1941 with 18 girls attending. At this time war restrictions also forbade any visible street lighting or any lights at all after sunset. Lighting could assist German aircraft during their bombing raids to locate targets more easily if towns and villages were illuminated. The safety of the girls under these circumstances during the hours of darkness was considered crucial. The girls were seen safely to their homes by the church officers after the meetings. 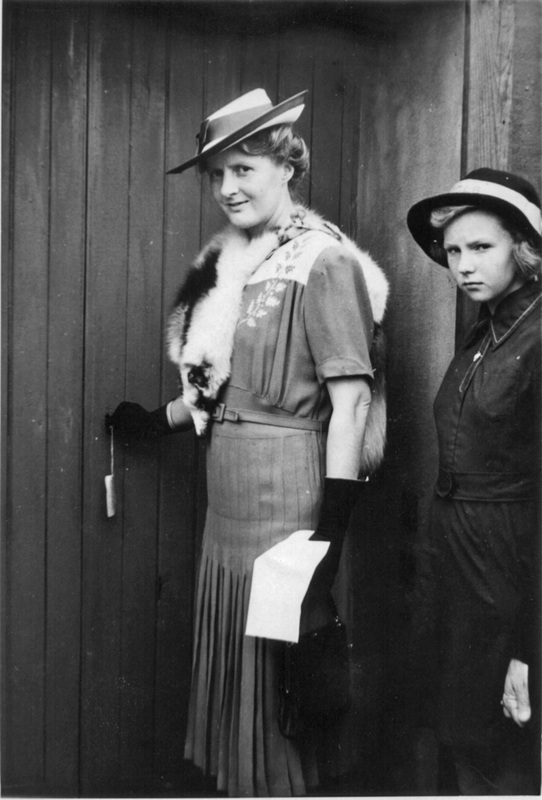 The elected officers were Mrs. Hazelwood, Captain, Miss J Higlett & Miss R Lewis, Lieutenants. As there were few men available due to the war the formation of a Boys’ Brigade was delayed. 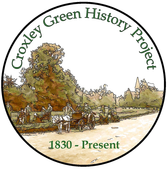 It was Rickmansworth Urban District Council’s intention to requisition part of the site as it lay unused at this time so a plan was quickly devised to delay this. Church members made use of the land as temporary allotments with the council surveyor agreeing to 10 plots being laid out. At the same time this ensured some beneficial fresh vegetables were available, a scarcity in wartime. 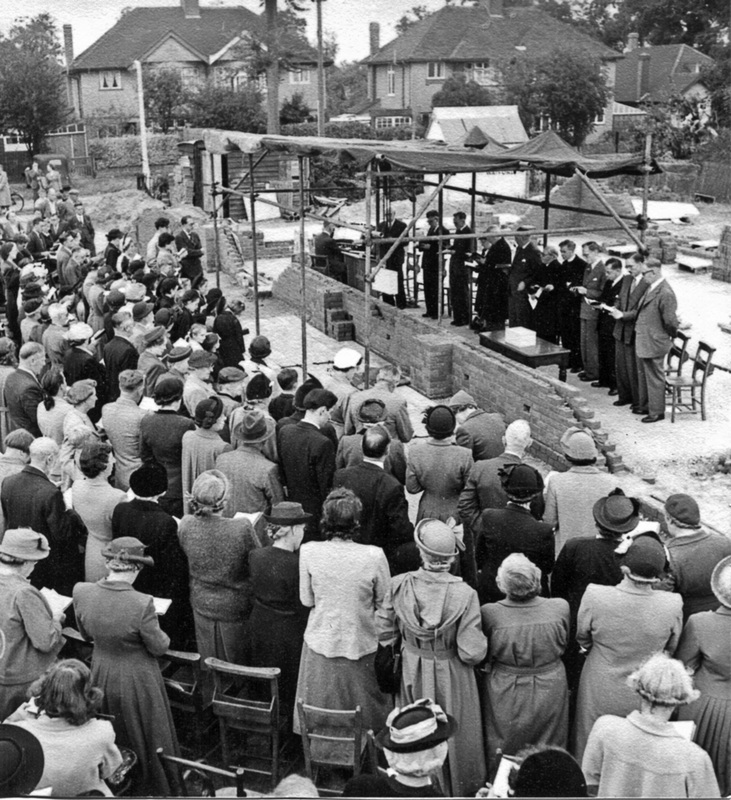 Meanwhile in October 1942 a small group of the foundation members was able to meet for worship in the Methodist Church, New Road prior to a temporary building which soon followed. 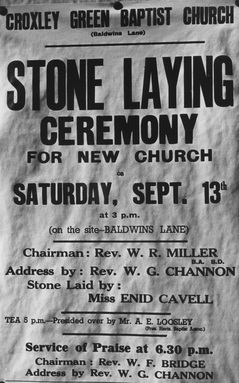 A pulpit was kindly donated and accepted from the Methodist Church and the first service taking place in Baldwins Lane on the 16th August 1943. The Sunday school was now well attended with up to 150 children and 13 teachers. 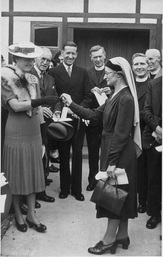 When peace was declared in 1945 it was decided that an additional hall was essential and Sister Enid Cavell was invited back for the opening in 1946. 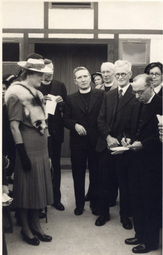 It was a condition to register both the buildings at this time as places of worship and this was completed in 1947, allowing marriage services to take place. 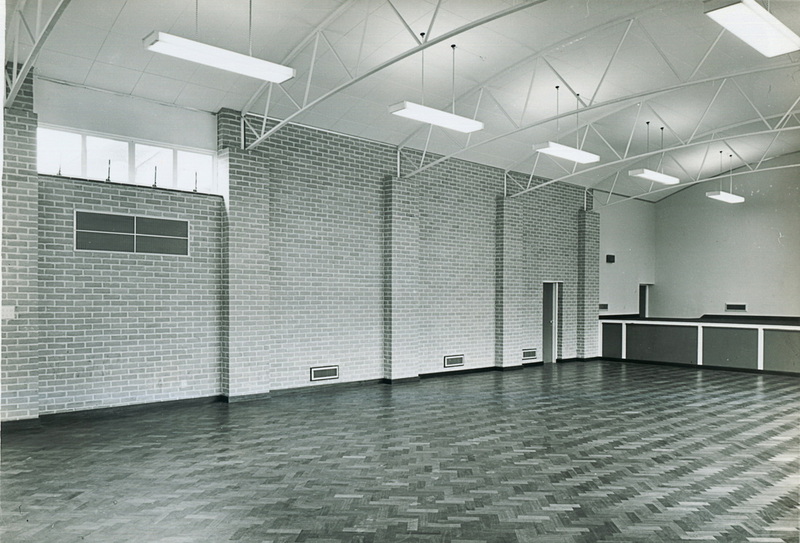 Managers of the local John Dickinson paper mill donated felt material for use as floor covering for the new hall. This was a temporary measure as furnishing materials were scarce since factories all over the country had been deployed to produce war related items. Felt material was used on an endless web machine as part of the process of producing paper on a continuous length. 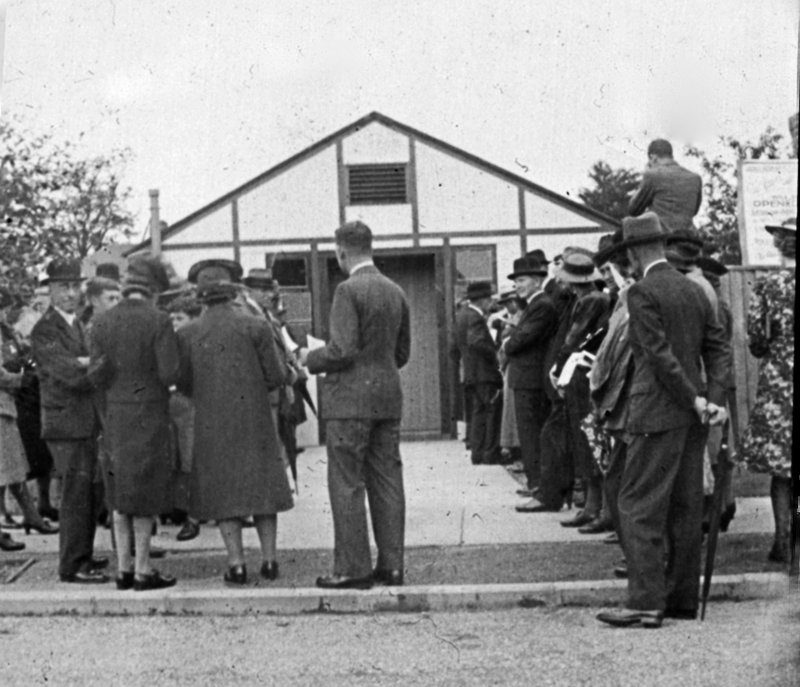 Thousands of British people suffered the loss of their homes and belongings from German bombing during the war but this did not deter the residents of Croxley Green having sympathy with innocent German families in the same position. 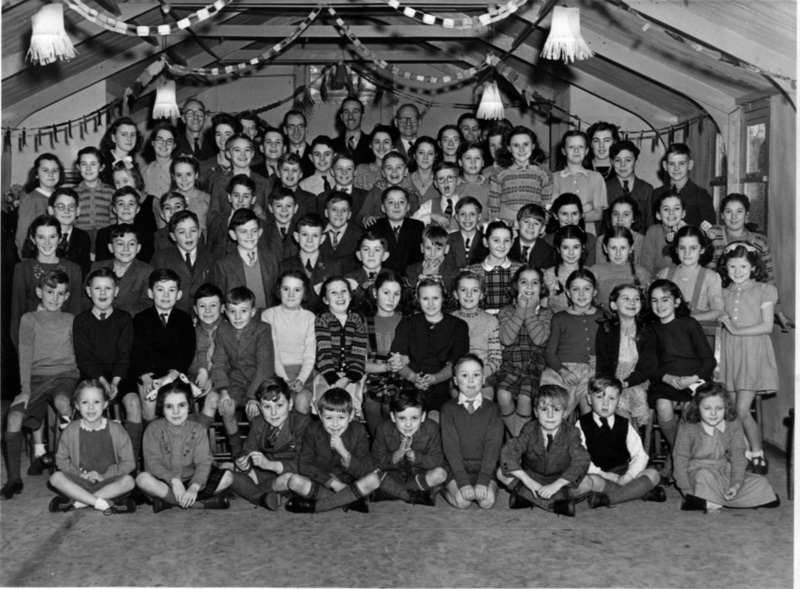 In January 1947 the church started sending parcels of food and clothing to Germany and during that year eleven food parcels had been sent plus five clothing parcels even though food and many commodities were still rationed into the early 1950’s in Britain. A Boy’s Club with Mr Warren and Mr Leutchford as leaders was formed during September 1949. 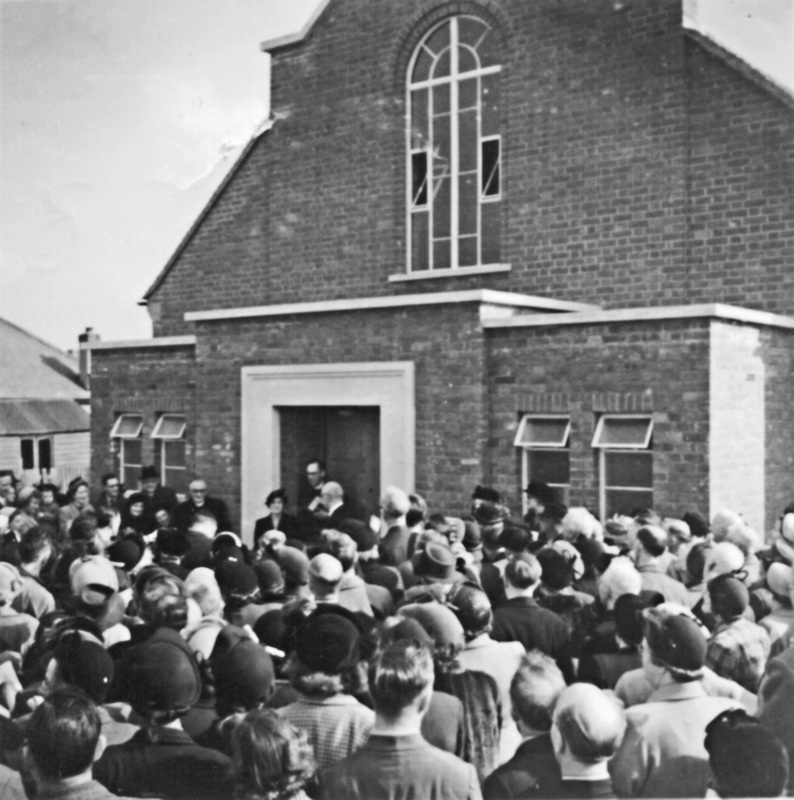 As village life gradually began to return to normal, the Baptist following in the village was now well established and in 1950, it was agreed to press ahead with plans for a new purpose built church. The architect Mr. J. Reeve Young, attached to Beechen Grove, Watford prepared the plans to accommodate 200-250 residents. 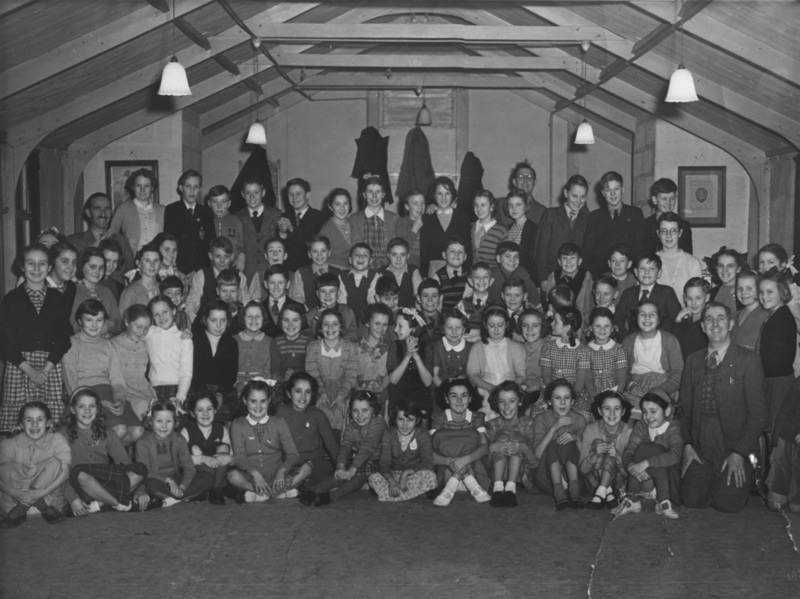 The Boys’ club became so popular it was decided to establish the 2nd Croxley Green Boys’ Brigade Company on the 15th November 1951. Geoffrey W Warren, Captain, Walter B Chapman ,Lieutenant, and Rev. 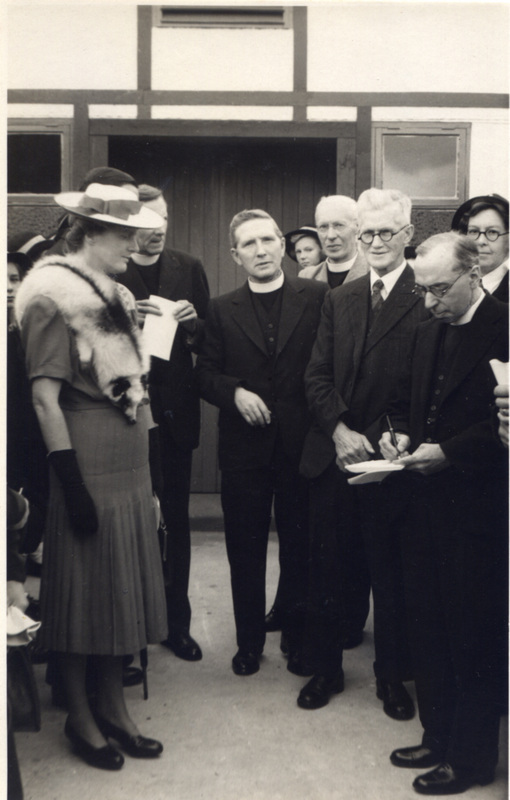 AE Allen ,Chaplain, held an enrolment service at the club the following week on the 24th November. 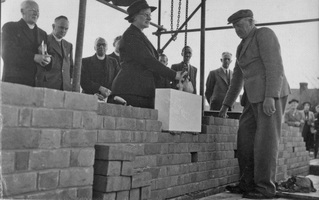 Building plans were now progressing and Wm. 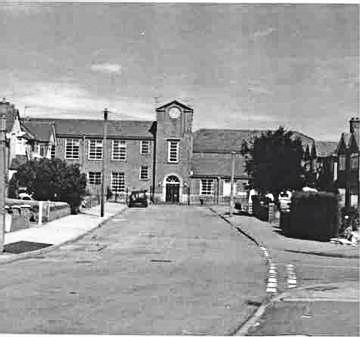 King & Son Ltd. builders was awarded the contract in June 1952 and even though only one church member had a car, the Rickmansworth Urban District Council (RUDC), now Three Rivers District Council TRDC, insisted that parking spaces be provided for 20 cars. 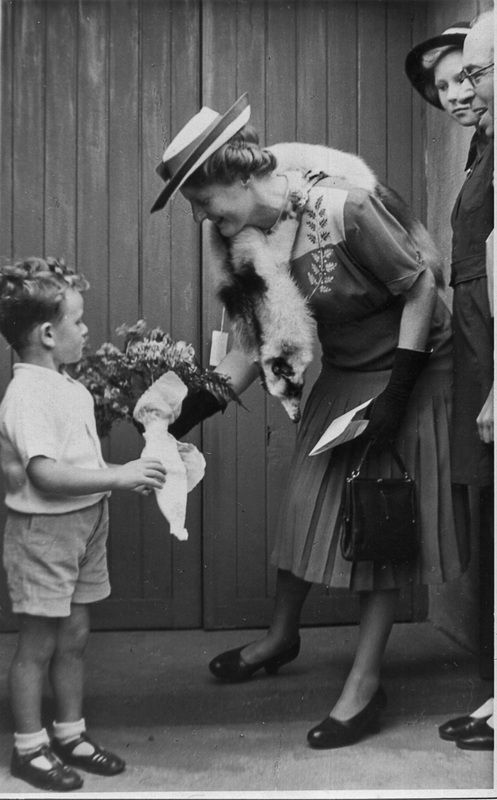 Rationing for many daily essentials was gradually being withdrawn as the country began to recover. However, one of the halls was used for the re-issue of books/coupons for products still in short supply as well as the distribution of orange juice, a heavily sweetened, sticky liquid with vitamin C content. This was supplied in small bottles for young children to prevent them contracting rickets due to lack of fresh fruit during the war. Fruits such as bananas, oranges and tropical fruits would have been unrecognisable to young children as they were in such short supply. Fortunately for Croxley Green, there was still an abundance of local orchards such as Stone’s orchard on The Green that were able to provide families with other beneficial fruits. 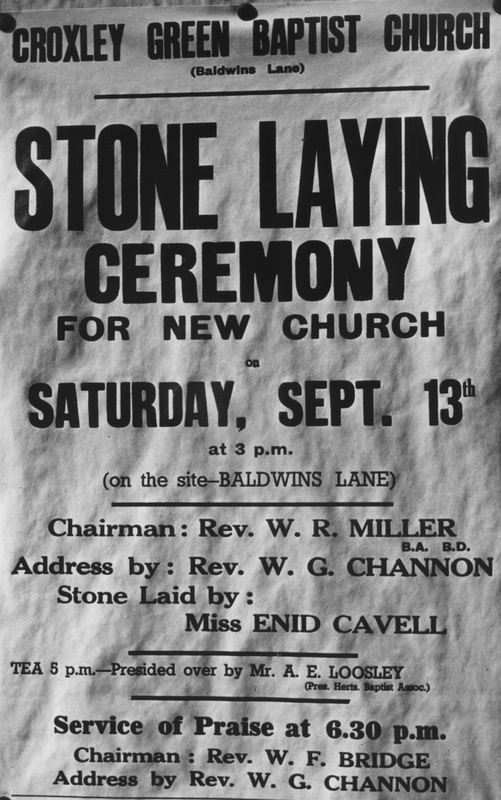 Sister Enid once again was asked to perform the laying of the foundation stone on 13th September and members of the church were invited and given the opportunity to each lay a brick. The day ended with a celebratory ‘tea party’ the largest ever held at that time by the church. 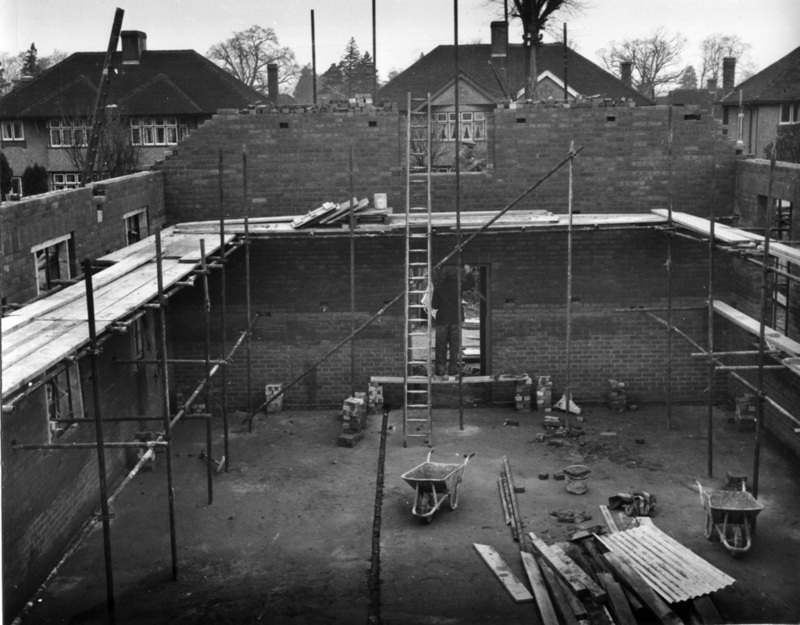 A sum of £2,000 had been raised towards the building costs which now amounted to £5386 17s 0d. 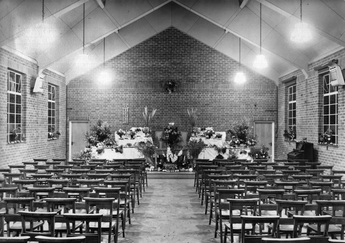 The building complete with furnishings was completed the following year on 11th April 1953 which also included the Communion furniture presented by the Rickmansworth Baptist Church. 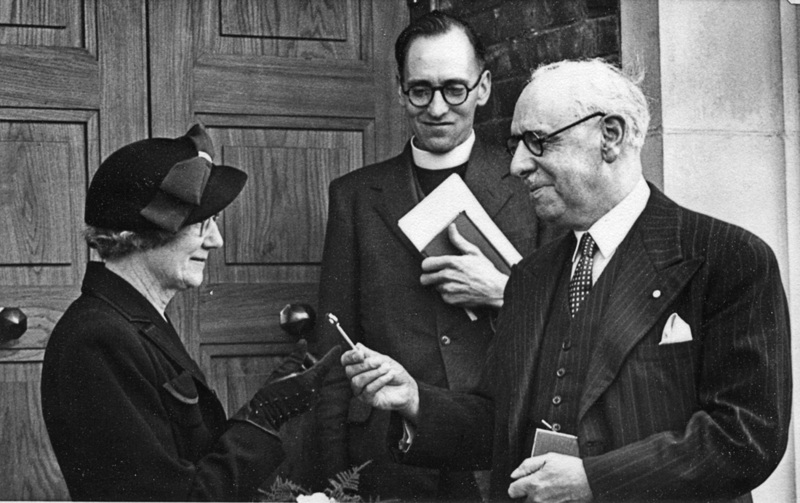 The keys were handed over by the architect Mr. J Reeve Young to Mrs. W F Bridge who officially opened the door and a dedication service was conducted by the Rev. W R Miller (Area Superintendent). This event coincided with the coronation year of Queen Elizabeth II and a pre- Coronation service was held on 31st May 1953. 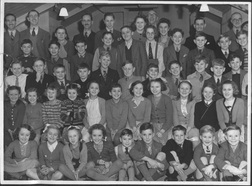 September 1954 a Life Boys team was formed and Mrs. Steere agreed the role as Leader in charge assisted by Miss Gaynor Rees and Mr. Brian Chapman. 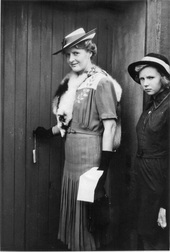 Miss Stevens resigned in 1955 as Captain of Girls’ Life Brigade after prolonged ill-health, having served the Girls Life Brigade for 10-12 years. She was succeeded by Mrs Leutchford. 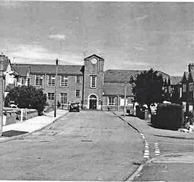 In 1958, plans were once again discussed for extending the church at the south end (nearest to Sherbourne Way) for use as a crèche and other classes that were becoming established. Both Mr. J Reeve Young and Mr. William King & Sons were both engaged to design and build the small hall. Another organ was obtained in early 1960 along with various pianos that were also generously donated during that period. 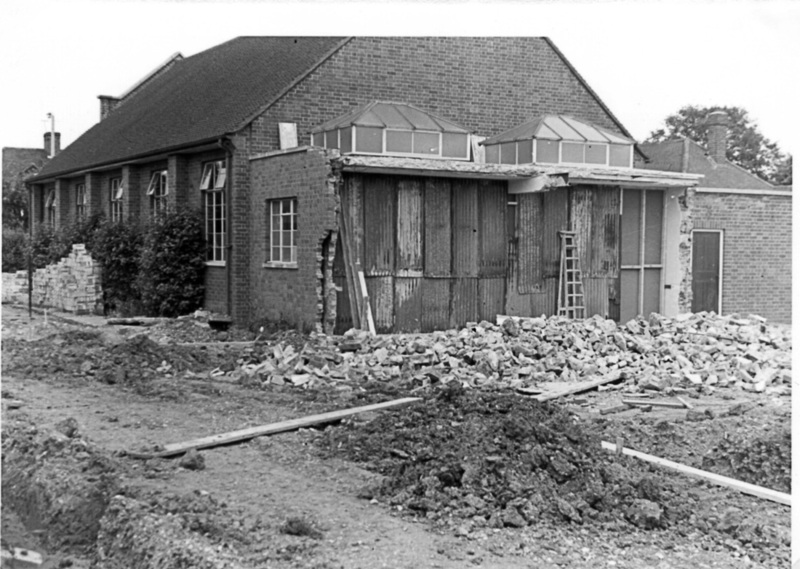 Discussions once again were progressing for further building works and in April 1964 a favourable tender submitted from Messers Blareau & Company of, Chorleywood, who were awarded the contract, and work was expected to commence on 4th May and take fifty two weeks. 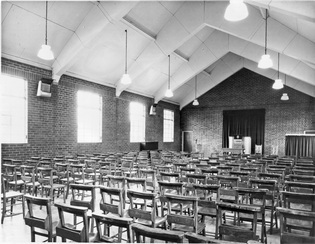 It was anticipated that the main church hall and kitchens would be available by the end of 1964. 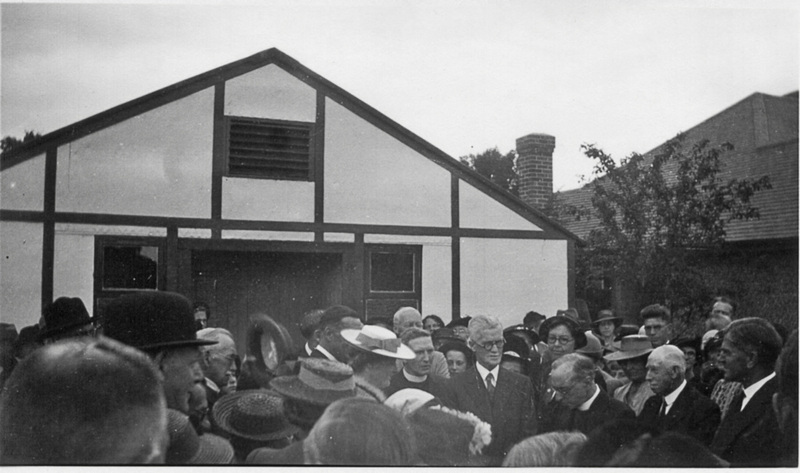 A temporary garage was erected for storage during the build and then moved to the manse. That year a variation on the Harvest Festival was agreed, and, instead of the usual gifts of fruit and vegetables, suitable merchandise could be sent to the Freedom from Hunger Campaign. 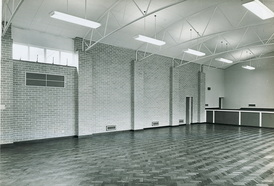 The new church hall and small hall were available for use as anticipated in 1965. During the latter part of 1966 and early 1967 the organ was converted from reed to electronic action by a team of church members under instruction from Mr. Mansfield, the builder of a similar organ in Derby. 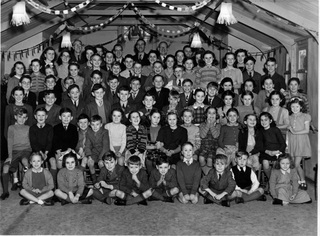 A new organisation called The Wayfarers, was set up in October 1968, enabling and encouraging young people to meet on Tuesday evenings with Mr and Mrs Sealy taking the lead. New ‘Colours’ for the Girls’ Brigade were chosen and were dedicated in December of that year. The Boys’ and Girls’ Brigade members- from an early age to young teens- have been encouraged to learn and have been taught a selection of instruments by the leaders of the church band. Playing a major role in many of the village celebrations the band has had occasion to lead t processions such as the Revels on The Green, the Armistice Parade service in November as well as their own monthly church parades. To raise funds in 1969 the boys were encouraged to bring pennies (pre decimal) and when laid they formed a length totalling ¼ mile. 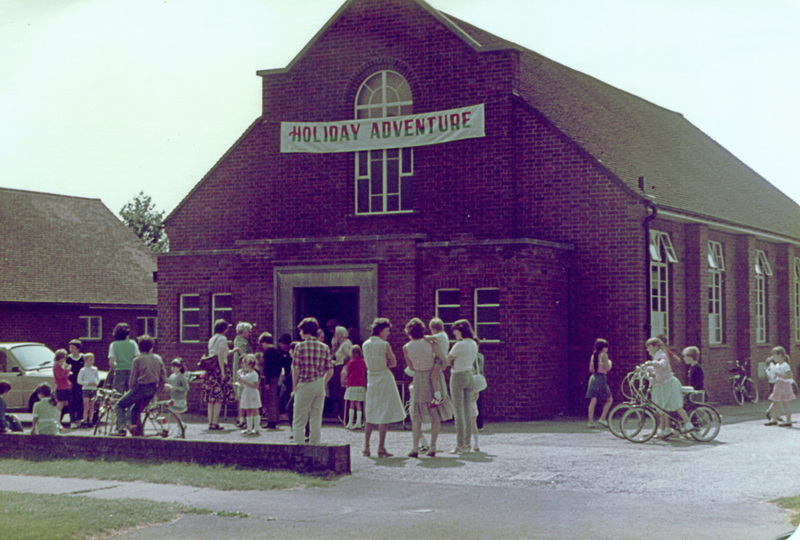 As one of many churches now established in Croxley Green, the Baptist Church supports numerous groups of all ages who make use of the halls and kitchen. An Adventure Holiday Club was established in the early 1970’s. For one week of the children’s school summer break, parents could enrol their young children in the morning or afternoon sessions. Youths were offered an evening gathering. At the end of the week invited parents are able to join in to ‘discover’ the results of the adventures!